You may be concerned about what’s floating around in the air inside your home. Harmful contaminants like mold, mildew, pollen and bacteria can make your home’s air quality less than ideal. That’s why you should trust Boelcke Heating and Air Conditioning to help with your air sterilization needs. We’ll provide air cleaners that will help ensure that you’re getting the air sterilization you need, by eliminating the pathogens you don’t. Our highly skilled technicians are able to install air purifiers in your home, allowing for improved air quality and comfort. We can help you assess your air sterilization needs, so that you can get the right products for your home. 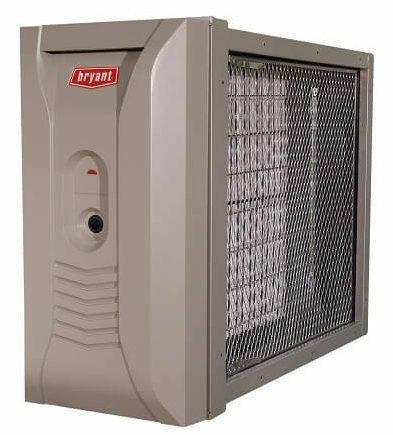 If you have members of your household who suffer from allergies, asthma or other respiratory concerns, a home air cleaner, coupled with duct cleaning and proper ventilation, can make the air they’re breathing cleaner and healthier. Boelcke can help you get the air sterilization you need for your home, and more. When you need indoor air sterilization solutions from a qualified specialist for your home, you can trust Boelcke Heating and Air Conditioning. We can help meet all your home heating needs, large or small. Simply give us a call at (269) 429-9261, and we will be more than happy to assist you.